While camping in Amsterdam, we were lucky enough to camp next to Pierre and Annette, a couple from the Westland area of the Netherlands. 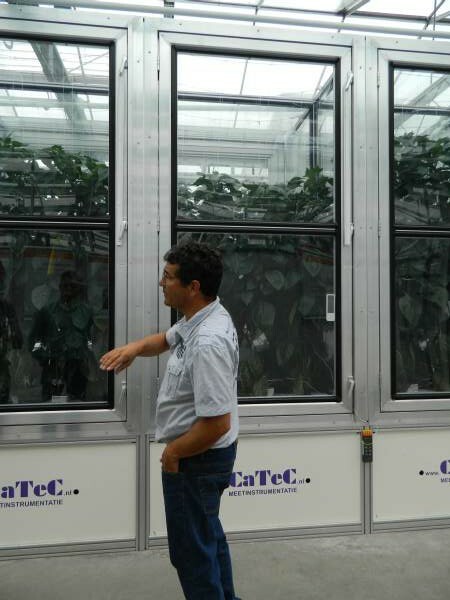 During our conversations, we found out that Pierre was a Glasshouse (greenhouse) consultant, helping growers lower energy consumption, and save money in their production facilities. 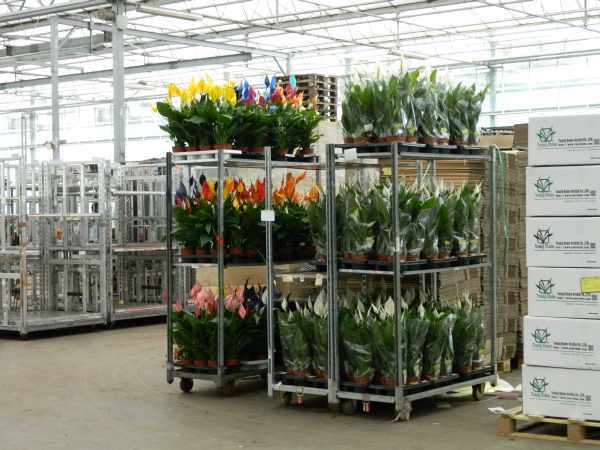 Pierre soon asked if we would be in the Westland area and if so, would we like a tour of some nearby glasshouses. We jumped at the chance, and met up several days later for the tours. 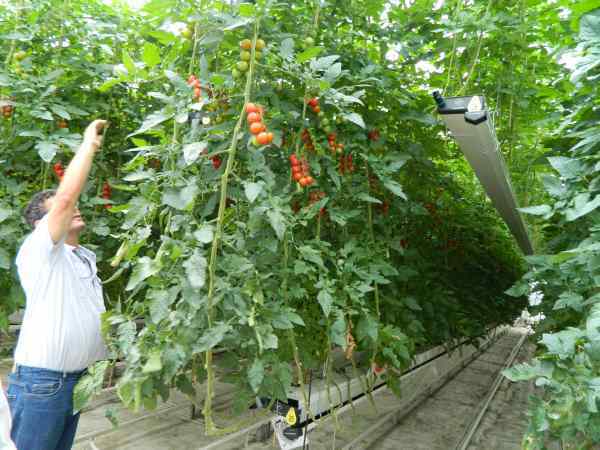 The tours took us through three sites, a working research/educational facility, a tomato grower and packer and a flower / houseplant glasshouse. 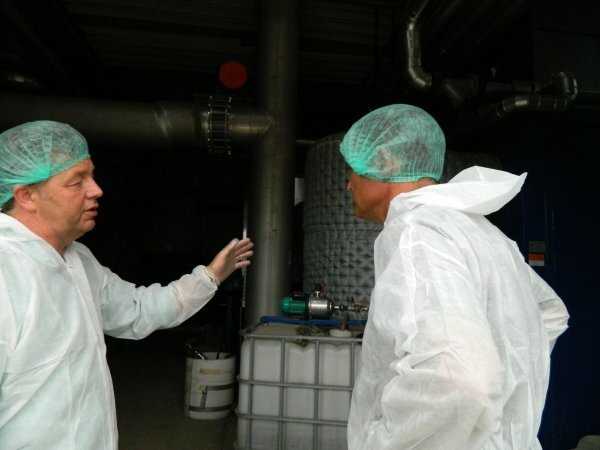 At each of the facilities we had very informative tours lead by the owners, and we came away with a better understanding of Dutch agriculture. 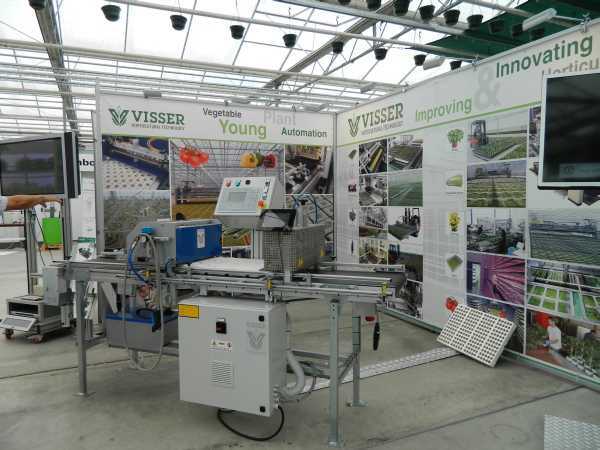 Our first tour showed us a facility that conducts research, connects industry with equipment suppliers, and educates young people for placement in middle management positions in the glasshouse industry. We were guided by Peet van Adrichem, where he showed us his amazing facility. Numerous equipment suppliers donate equipment where it can be used in research and as educational tools. As stated above, the company also operates as educational facility for young students wanting to enter the profession. They have test areas where students will run test plots, learning the ins and outs of the business, as well as finding new and better ways to improve output. The school was started to help supply the dire need for employees. There are currently ten jobs waiting for each graduate! I found it odd that all students are male, even with the company efforts to attract female students. 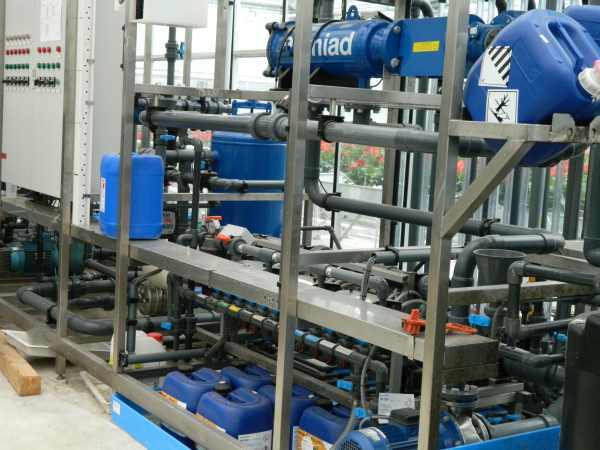 Fertigation system that allows for the control of individual nutrients. Double cropping greenhouse tomatoes? Young tomatoes are started and lifted up high in the greenhouse. When the older plants are at the end of their useful life, they are removed, replanted and lifted up while the new crop is lowered. Result is a 25% increase in yield. This procedure was developed here. Sample of just one of many pieces of equipment used to show growers and students equipment available. 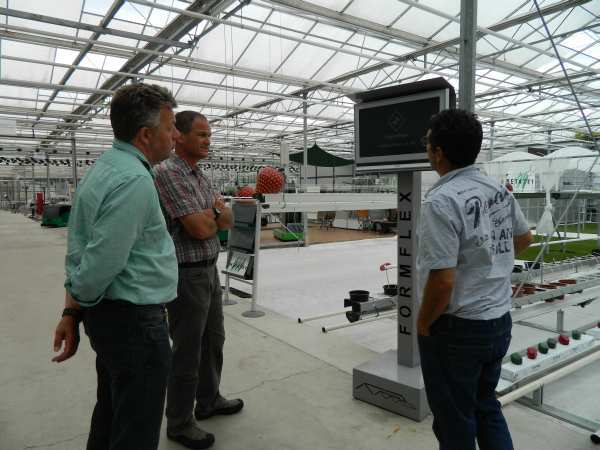 Demokwekerij has made great advancements in incorporating robotics into the greenhouse facilities. Our next stop was with Tom Select, a hothouse tomato grower and packer in the Westland area. Here we had the opportunity to see more of the production aspect of the industry. We suited up for sanitation reasons, and took a look around. 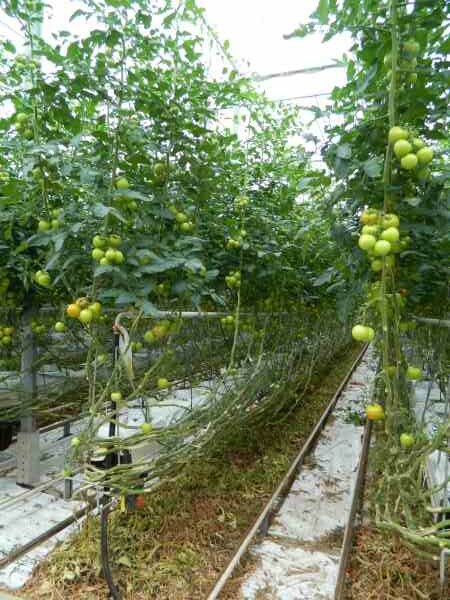 Tomatoes are picked, foliage removed, and the vines wrapped to keep the picking height the same throughout the plants life cycle. Pierre discussing the use of a small co-generation plant in the glasshouses. 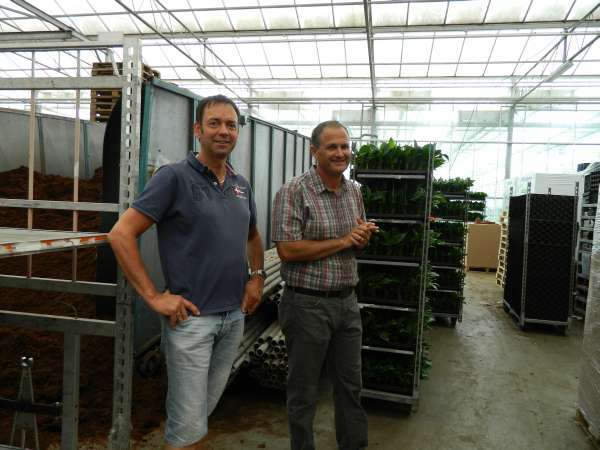 Our last stop of the glasshouse tours was with a potted-plant grower, who grew house plants. The most interesting aspect of the company is that they market air purifying plants. Selling plants for the home , office, or classroom that purify the air and improve air quality indoors. They specifically sell plants based on their ability to improve air quality. For more information check out their website , http://www.airsopure.nl/en. 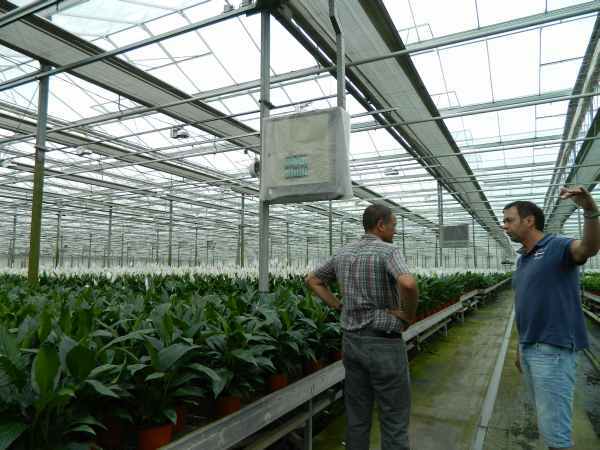 The facility we visited grew primarily Spathiphyllum. The grower would spray paint the flowers in many different colors. Since Spathiphyllum only flower in white, they would paint the flowers to gain a different effect that was highly marketable. Touring one of the massive glasshouses. All three tours were a great look into an industry we were not familiar with, Jeanette and I learned a great deal. A special thanks to Pierre and Annette for the organization of the tours, without their generosity this experience would have not been possible. 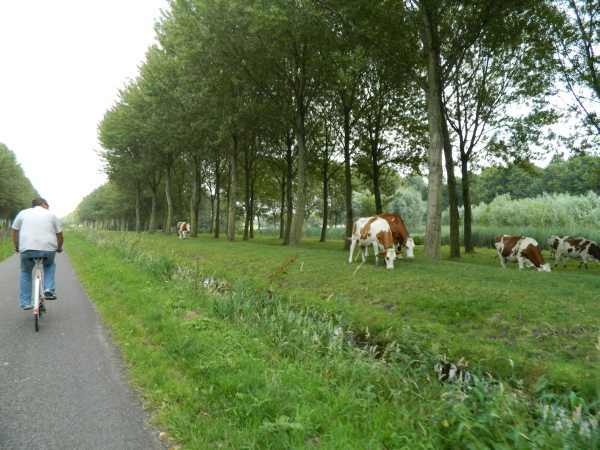 We enjoyed the bike roads winding through the countryside going from one town to the next without the worry of traffic (or hills). 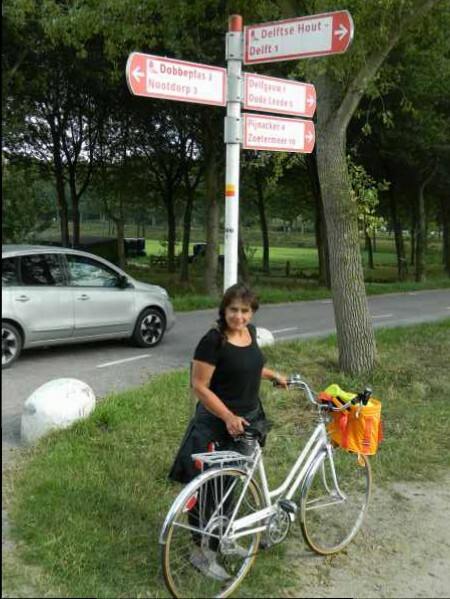 We visited Alkmar, Haarlaam, Almeer, Nieuwland, Den Haag, Westland, Arnhem, and others. 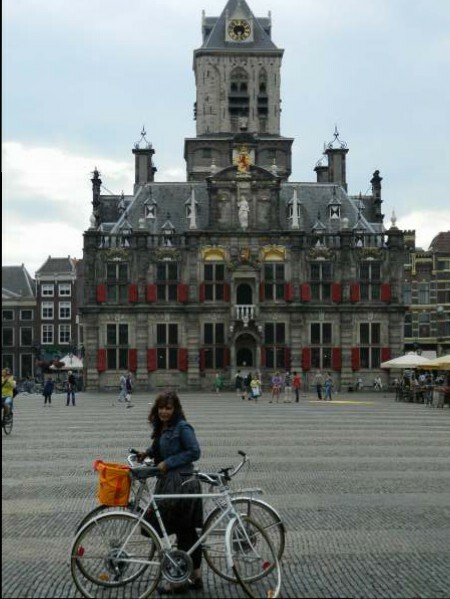 Many of these towns we rode through on our bikes, enjoying the landscape, historic churches, and beautiful houses and gardens. When parking your bike in a large city, make sure you take a picture of the street sign so you can find them in the sea of bikes. One day it took us 2 hours to locate them. Even the bike paths have street signs listing nearby towns and their distance. This beautiful town with its charming canals and roomy cobblestone square, is the hometown of the painter Vermeer (The Girl with the Pearl Earring) and the original blue and white Delftware. We met a charming French couple and their son at our campsite. We stupidly neglected to get their names, but enjoyed talking with them about school (the woman was also a teacher), and traveling through Europe. 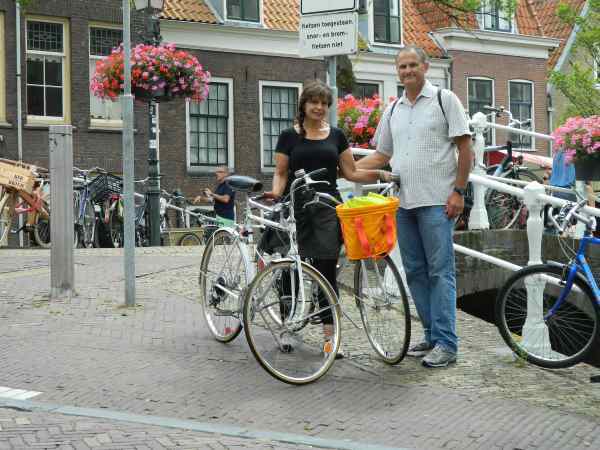 Our first full day, we leisurely biked to the center of town to a large antique flea market. I did buy a few treasures, but found a lot of fun bits, if only I had the room to bring them home. We spent the next two days biking through neighboring towns, wandering around, and enjoying the sites. 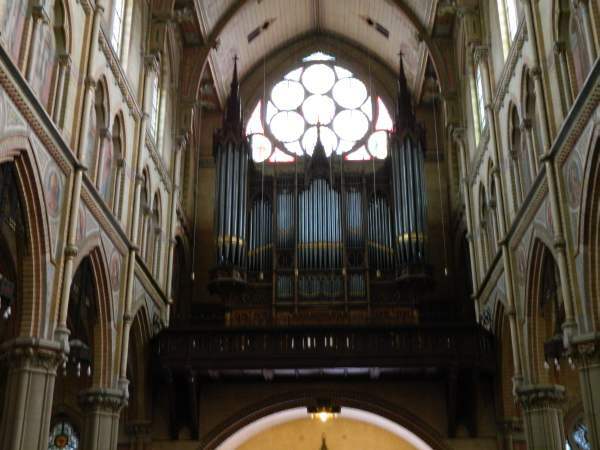 We were particularly awe-struck by the beauty of Maria Van Jessekirk Catholic Church. 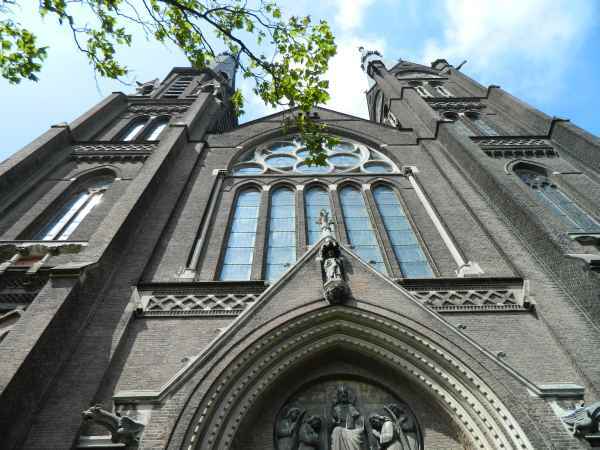 Its stained glass windows and impressive religious artwork was so incredible it brought tears to my eyes. So educational and beautiful…………………thanks so much for sharing with us!!! !